It seems as if even with the likes of Gabriel Jesus and Leroy Sane, Man City boss Pep Guardiola remains on the lookout for more young talents. 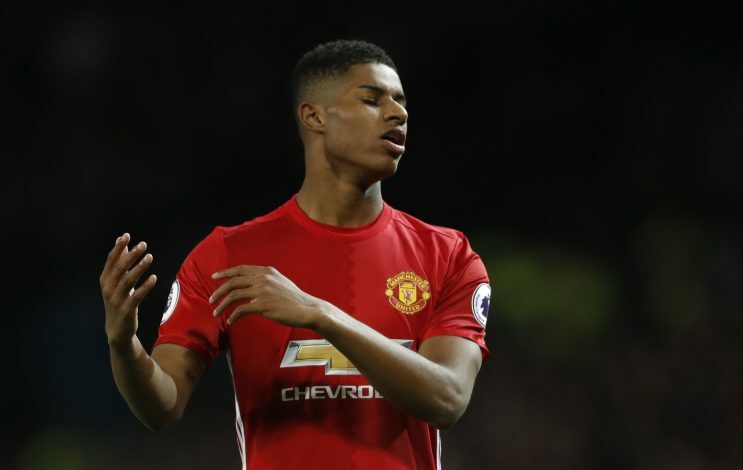 And now, Man Utd starlet Marcus Rashford seems to be his next target. The United academy graduate became a vital asset to the club soon after making his first appearance back in 2015. Since then, the Englishman has managed to rack up 19 goals and 8 assists across all competitions, and his versatility as a striker and winger has earned him more attention and first-team action among the Red Devils. Naturally, being a talented youngster in one of Europe’s top five leagues doesn’t go unnoticed, as elite clubs like Real Madrid have reportedly expressed their interest in him, with Los Blancos’ talisman Cristiano Ronaldo said to be an admirer himself. Furthermore, as per Don Balon, United’s arch-rivals Man City have also set their sights on the young forward this time around, as Guardiola is reportedly interested in the player’s services, and would be delighted to add him to the Cityzens’ already lethal front-line. However, the Old Trafford outfit will be keen on keeping their prized starlet, and will likely decline any offers or bids that may be placed by their noisy neighbours in the future. It is no secret that the United youngster is an appreciated figure in the red part of Manchester, and is highly valued as the future of the club. Nevertheless, the 20-year-old is certainly worth enough for the Sky Blues to try their chances at luring him away to the blue side of Manchester, though they will have to pull off something close to a miracle in order to do so.